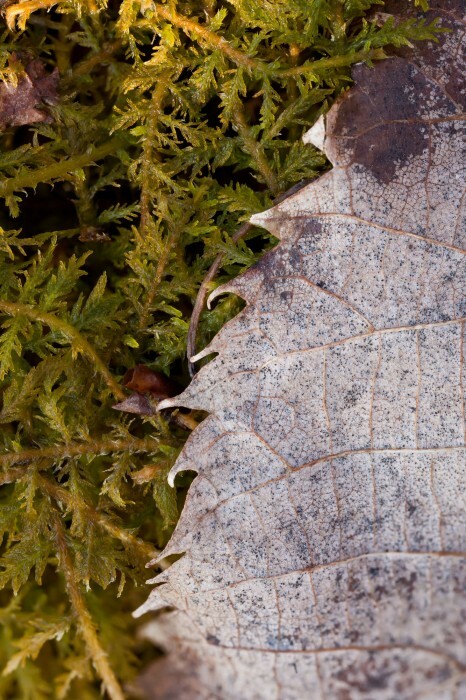 How to recognize common fern moss: Thuidium delicatulum is a robust carpet moss that exhibits thrice-pinnate branching, thus looking very fern-like. 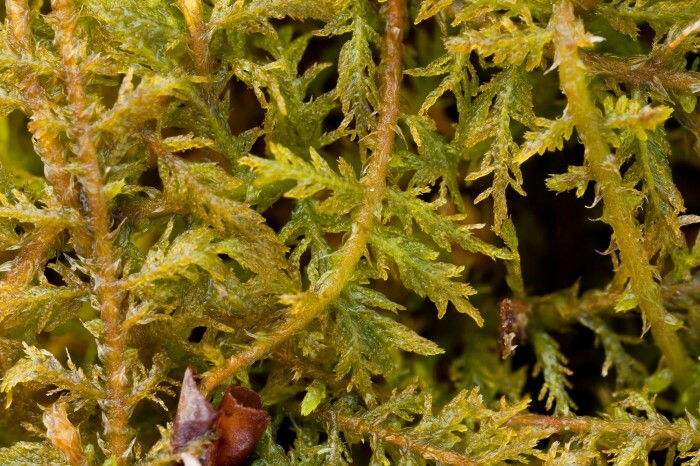 With this appearance it resembles its common name much more so than other mosses. It has leaves that are coarsely unipapillose. 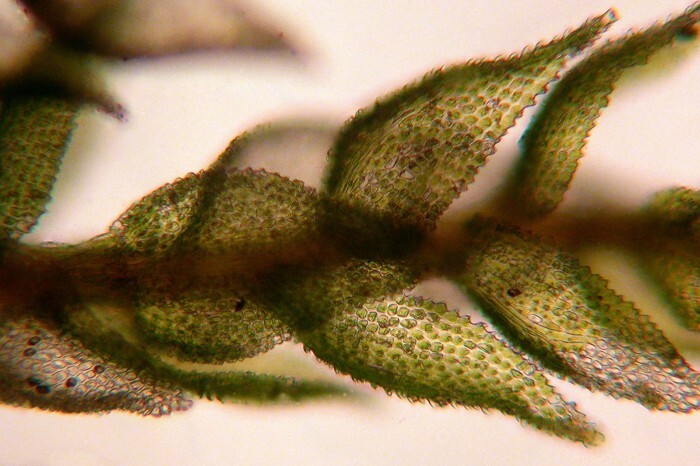 The stems are clothed in filamentous paraphyllia which makes the stems and branches look fuzzy with a handlens. The 0.8-1.4 mm stem leaves have a single costa which does not extend into the acuminate (tapering) leaf tip. 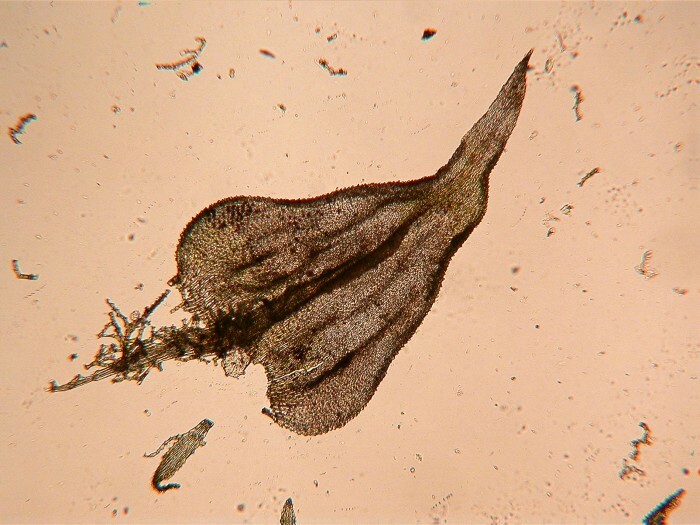 When dry the leaves are pressed closely to the stem. 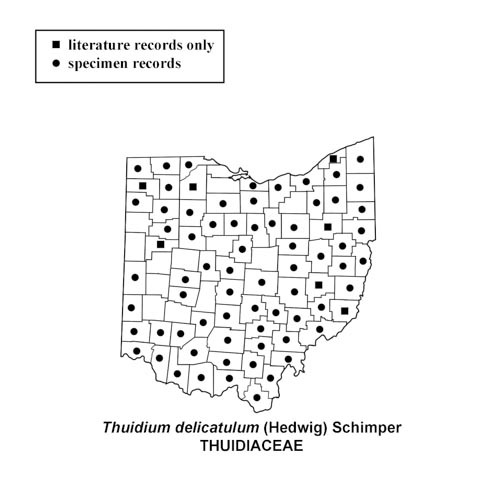 There are two other species found in Ohio; they are both less common and are found in calcareous areas. One of these has a long filamentous leaf tip, and the other has leaf tips that bend backwards away from the stem. 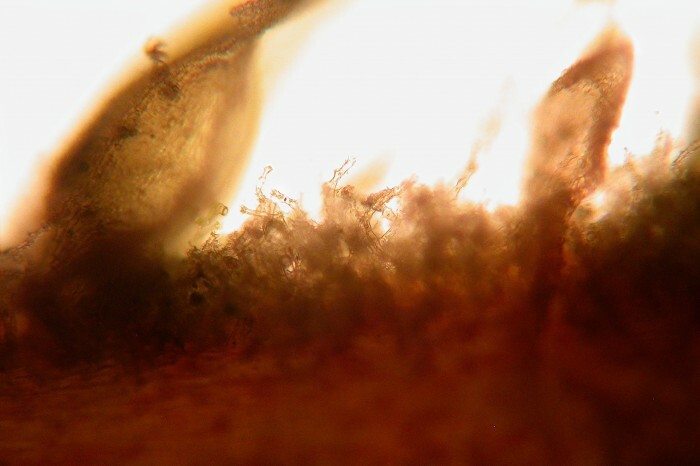 These features may possibly be seen with a handlens under the right conditions, but a compound microscope will be needed for a final determination. 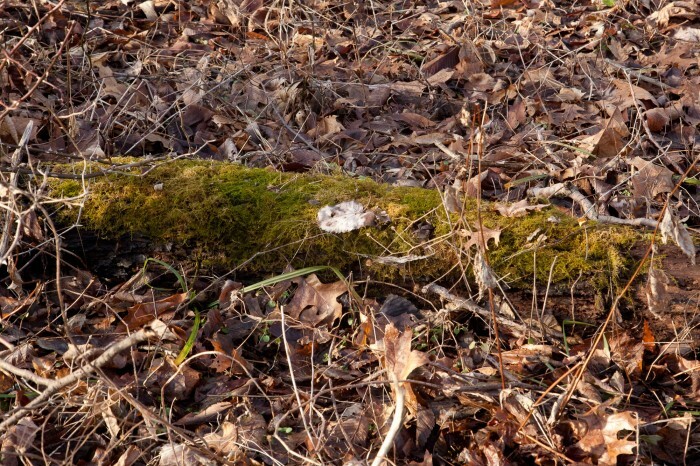 Where to find common fern moss: Thuidium delicatulum is common and abundant in moist shady places across Ohio, occurring on the ground, on logs, stumps, and sometimes rocks.